The Canadian Research Centre on Inclusive Education is a network of stakeholders who provide a uniquely Canadian view of inclusive education. 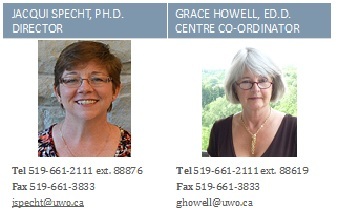 The partnership is comprised of people with expertise in leadership, research methodologies, and theoretical approaches; they have experience working with diverse partners and stakeholders, and a employ a range of approaches and contexts for knowledge mobilization. For detailed information about our Faculty, Graduate Students, and Partners, click on the appropriate tab across the top menu.